Ofttimes when I’m out and about I’ll see things that inspire or speak to me, or things that I think I may want to copy at some point. I’ll grab my iPhone and snap a picture, hoping that some day I’ll come back to the image and recreate it. Here are just a few of the things that have inspired me over the past year. Maybe some of my quick pics will be an inspiration for you as well! 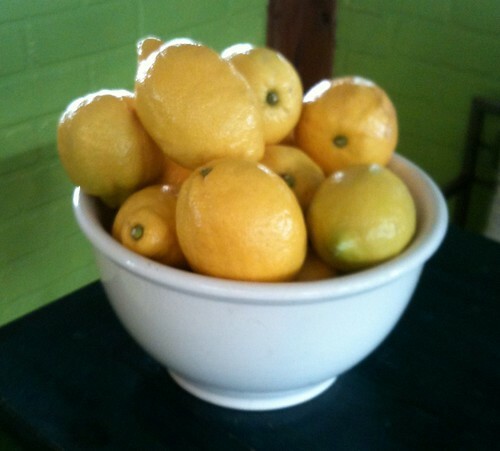 A white dish with bright yellow lemons always brings a smile to my face. 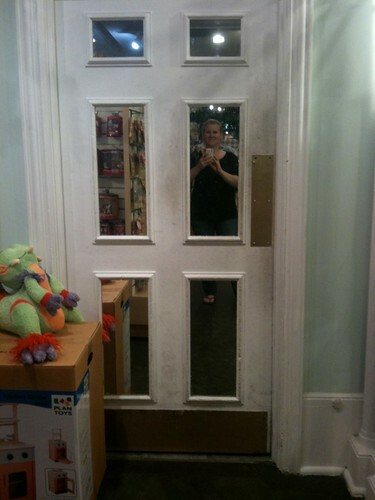 A toy store added mirrors to their door. This is such a fun idea, especially for a bedroom! 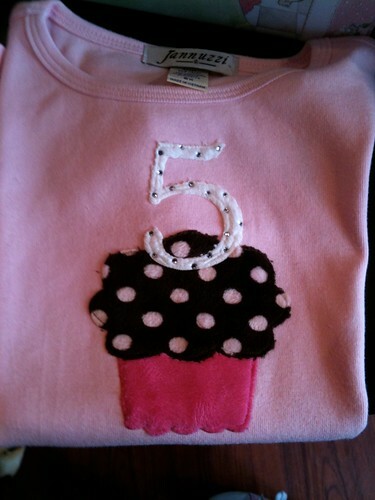 This is such a cute shirt idea for a birthday girl. 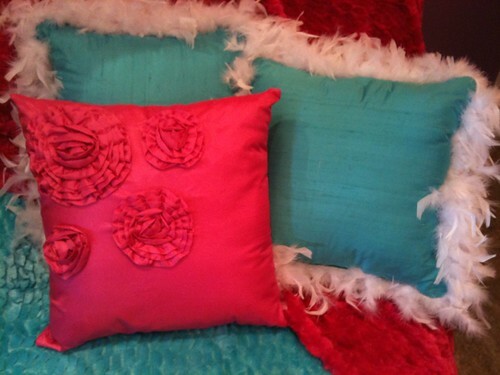 Big flowered pillows are all the rage right now, but I’m in love with the teal and boa pillows! How cute would this be painted on a shirt or pillow, or printed on vinyl? 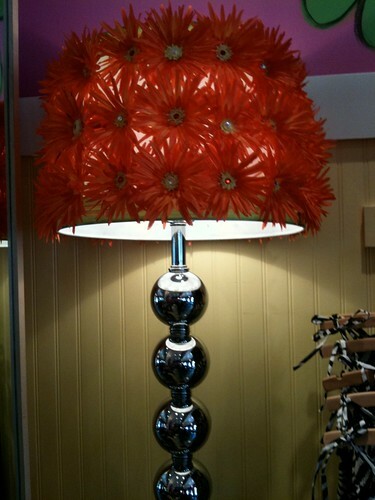 Not only are the lamps themselves awesome, these shades are so adorable and could easily be replicated. 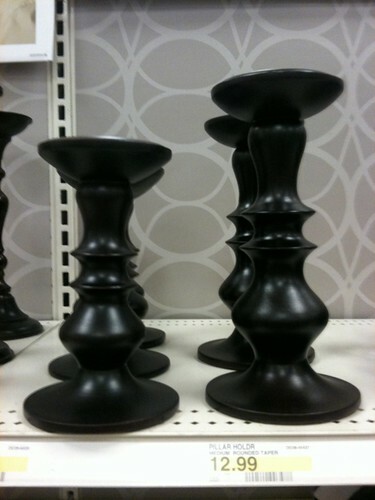 These laps were in a specialty shop, but I’ve seen bulb lamps like this at Target as well. And, again, the shade could easily be copied. 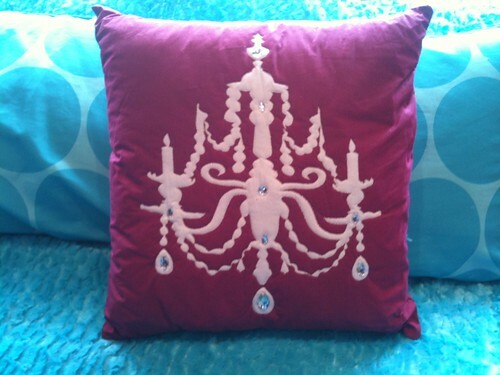 A hot pink chandelier pillow with jewels would be adorable on any girl’s bed! 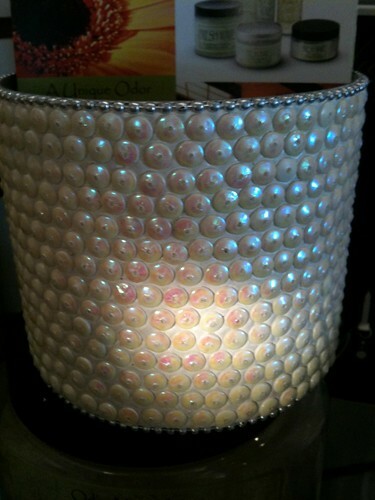 This was an office cup, but you could take sequins and apply them to a candle for a sparkly look. 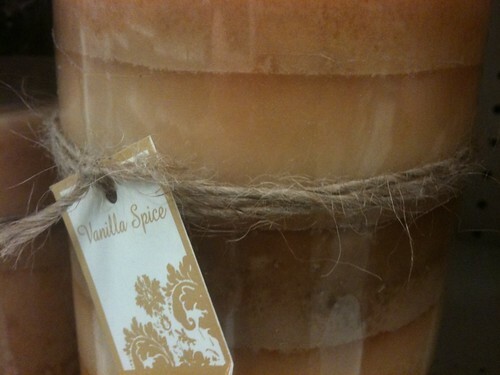 This candle was printed this way, but how easy would this be to replicate by attaching some burlap around a candle?! 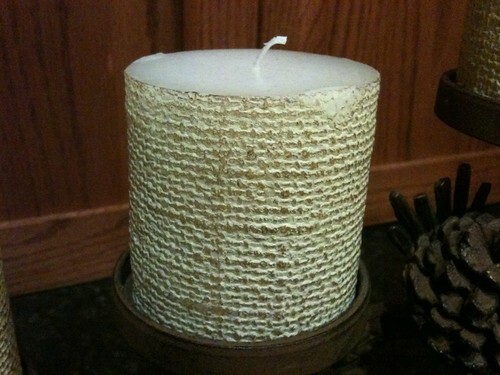 Dress up any candle by simply tying a bunch of jute around it. 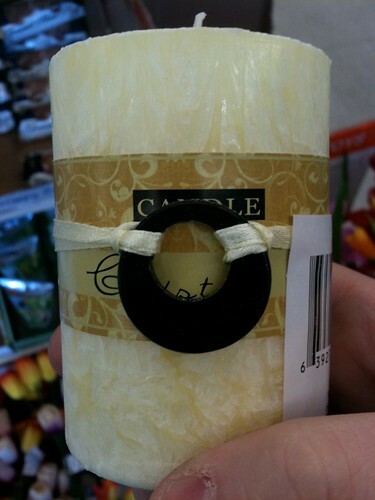 Tie a spray-painted washer around a candle for a more classy look. 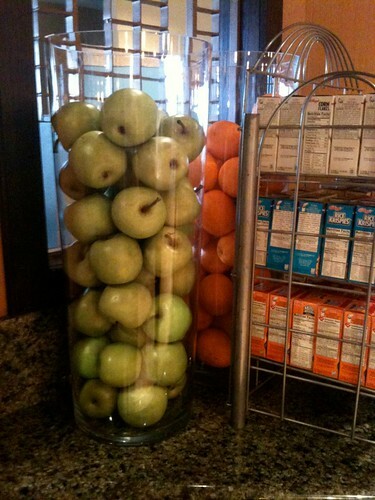 A restaurant at a hotel we stayed at stored all their (real) fruit in large glass hurricanes. 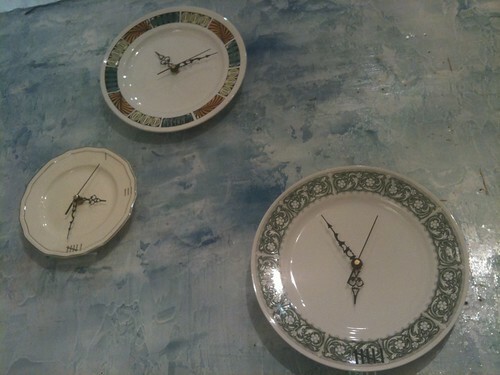 I think these would be perfect in any kitchen! 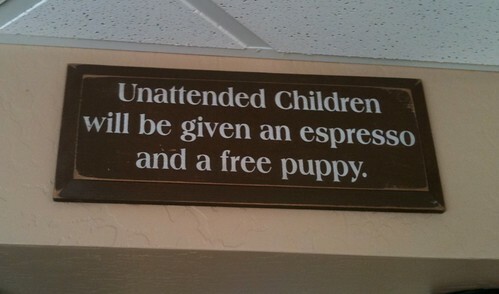 I spied this sign at a Vet’s office while dropping our dog off for a weekend to be boarded. So funny! Need a Hawaiian grass skirt? Make your own. I took this photo to remind me how to tie the raffia to the jute. Here are some fun yard decorations for the Holidays. 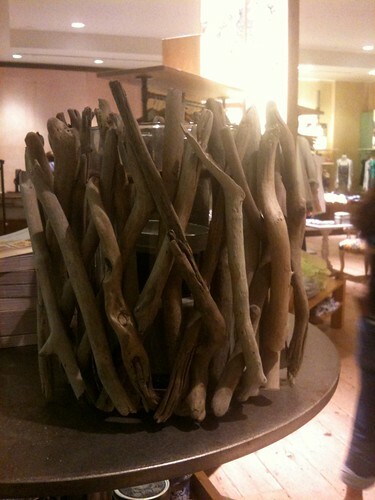 Anthropologie is always inspiring to me. I can’t afford the place, so I try to at least gain ideas from them! 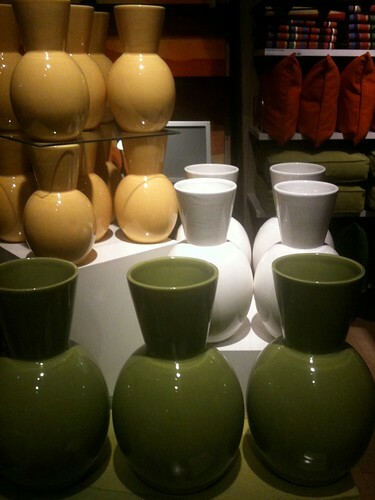 Here are several Anthro items I spied that I loved and am hoping to replicate someday. And a side view to show how they are attached. 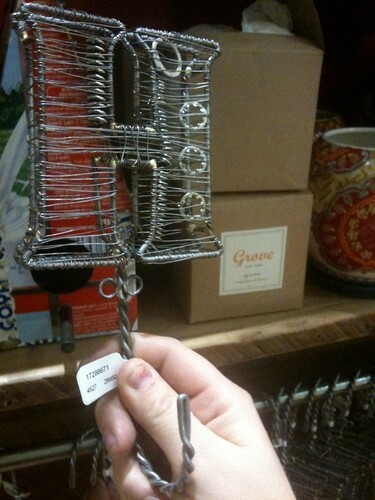 I wonder if I can twist some thick wire well enough to make some cute wall hooks? When you are wrapping the wire around the frame, just weave in a few washers. I’ll probably leave this one to the pros, but they are cute, aren’t they?! 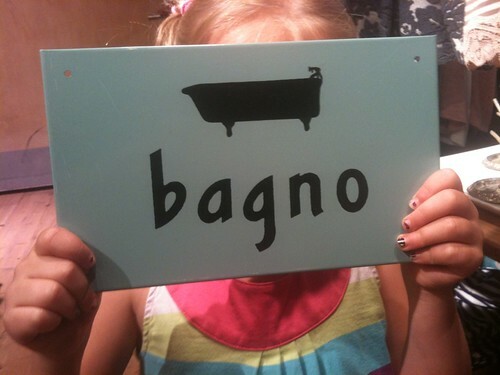 How cute (and easy to replicate) is this little bath sign? Glue some sticks around a glass hurricane for a cute candle display. 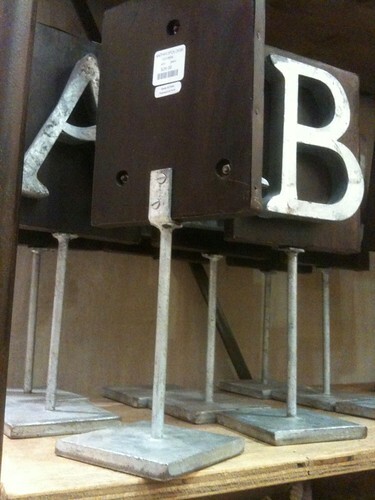 You could easily make a letter out of cardboard and then silver leaf it for this cute shelf accessory. I love how huge this is! 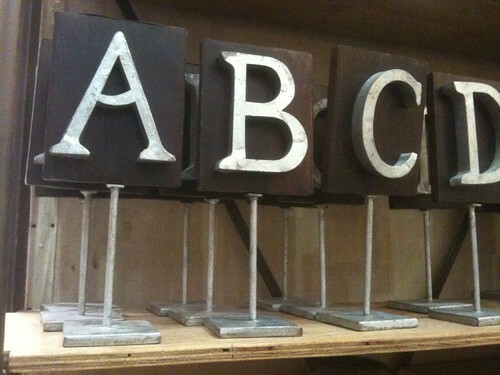 Maybe cut a letter out of really thick wood and paint it? This one is metal, but a wooden one would be cute as well. 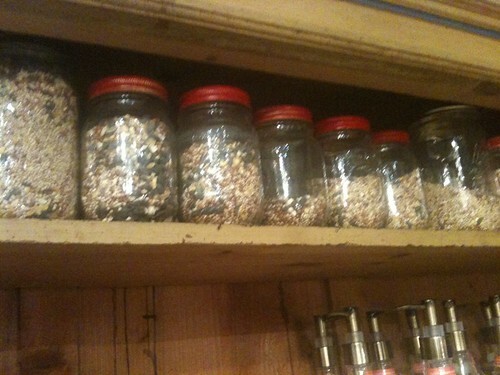 All Anthro did for this was to line up a row of bird seed filled mason jars with the lids painted red. So easy! 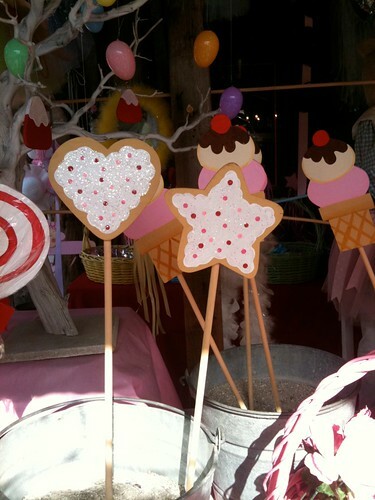 These cupcake and cookie trays are so cute! 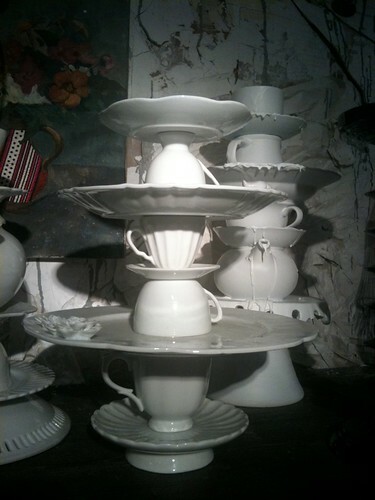 I considered making one by buying a bunch of mismatched dishes from a thrift store, spray painting them all white, and gluing them together. They are so fun, but somewhat cumbersome to store. I’m too practical thinking sometimes. 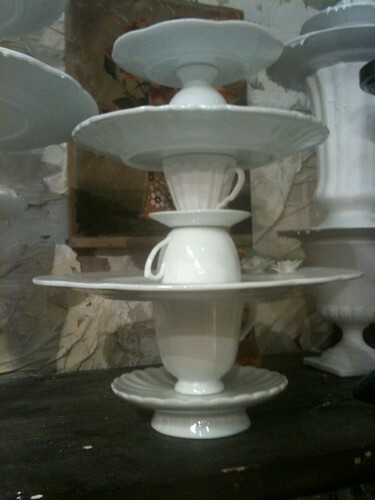 Drill a hole in a cute plate. Attach a clock kit. Done. The next few ideas are from Crate and Barrel. 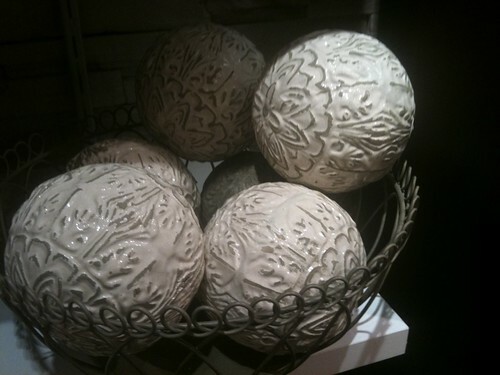 I painted most of my decor balls dark shades, but I’m loving these light ones. Pretty colors! I love color, but I tend to always play it safe. I guess I figure if I take enough pics of bright colors maybe eventually I’ll actually paint something bright! 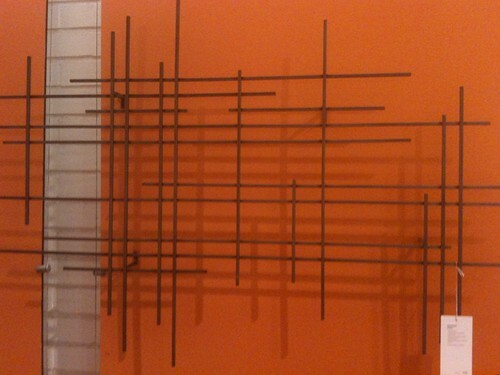 This large wall art could easily be replicated with several thin square dowels from the hardware store. Glue them together and spray paint it all dark brown. 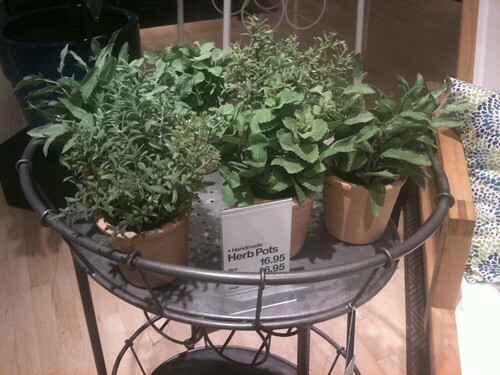 These can be found at IKEA for more than half the price. FYI. 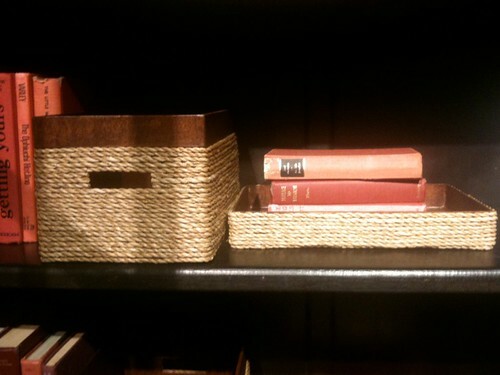 I love the idea of wrapping rope or twine around boxes and office accessories. It adds so much more texture and warmth to an otherwise boring box. These are just a few of the hundreds of pictures I’ve taken the past year or so of things that inspire me. What colors or items do you see and love? One thing I’ve heard of for the cute cupcake and cookie trays is to use denture cream to hold them together. They come apart in hot, soapy water. Much easier to store, if it works. 😀 I loved all those photos!! Gave me lots of ideas. 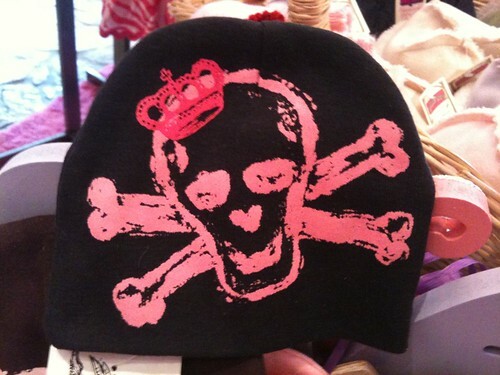 think I will have to go look at that Anthropologie shop online. 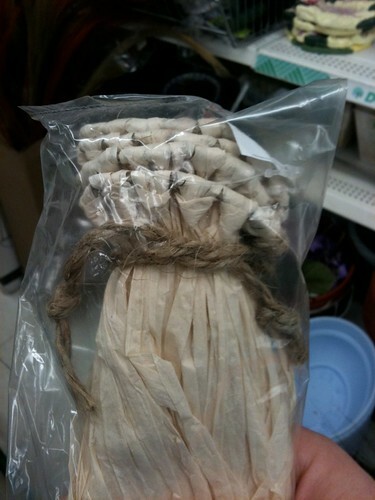 we dont have it here but have seen a few people blog about it! I love these, and I do this too! 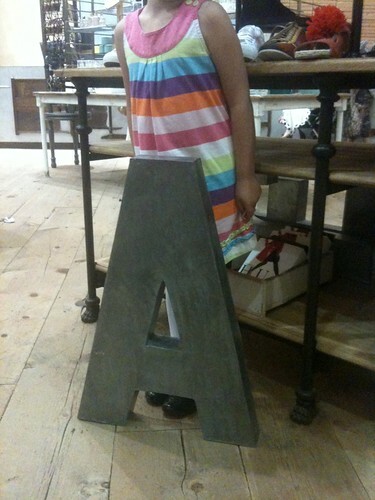 I snagged one of those letters on wood at Anthro on sale, so I didn’t feel too guilty about buying it. 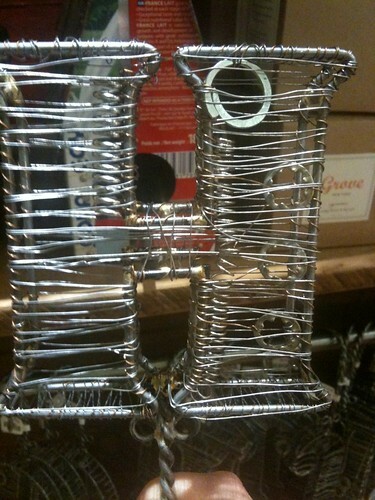 I’ve found awesome things to re-create at Cracker Barrel, of all places?? I am trying out a new linky party Inpiration My Creation (it is supposed to post today but looks like it is saving itself for later). Check it out and link up if you can =) It will be there until Friday when it finally posts. Loved all your pics!! Great inspirations!! 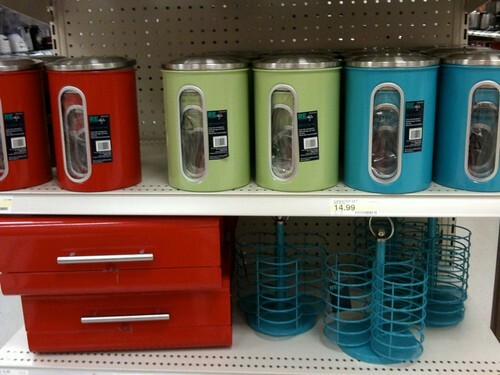 Lots of great ideas…particularly love the daisy shades. 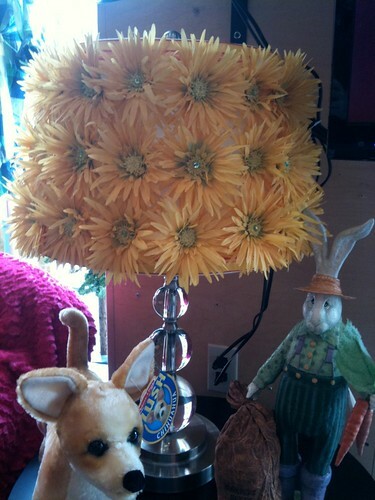 I have these oddly shaped, ugly fabric shades I’ve been trying to fix up – that idea just might be the perfect one! 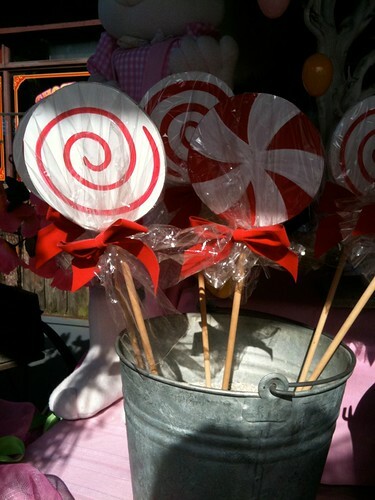 Oh, I so want to make that vase with the sticks around it! I love the texture of it. Speaking of texture, there is a theme to your pictures, they all have depth and texture, says a lot about you 🙂 I love getting decor inspiration from Anthro, there ideas are amazing and most of the time so simple, you say to yourself, crap, why didn’t I think of that! I have to admit, I even sometimes, just sometimes, buy their clothes while I am in there. I snapped some photos w/ my Blackberry of beaded napkin rings I saw in Sur La Table. I also go to Anthro to drool, uh I mean for inspiration. During Halloween we like to go to Halloween stores to shop for ideas. I’m trying to convince my Husband to let me make him a lawn gnome costume because we saw one for a toddler at a store. Those are all super inspiring, but the sign at your vet is hilarious! LMAO! I do the same thing…I’ll probably never get to replicate all the pictures I have. First: Sorry I haven’t been commenting much! A lot has been going on in my little world. 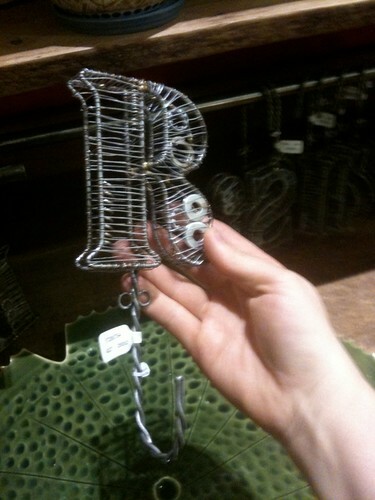 Second: I love those different sized letters. I would love to get some once I get a job. Where did you find them? 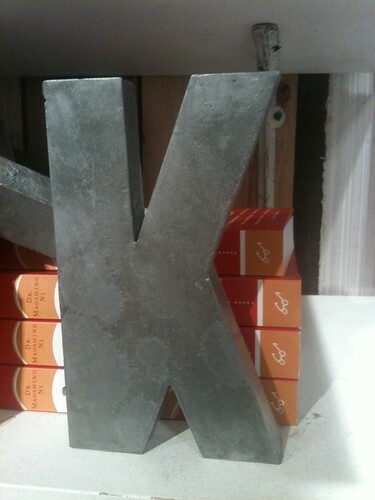 I could not find anything by the pics of the letters. Loving the door with mirrors! And I definitely need to try and find some hurricane glasses..their so easy for changing seasonal decor!! Oh and Btw I totally got my decor balls up..Lol..I think Im a procrastinator .